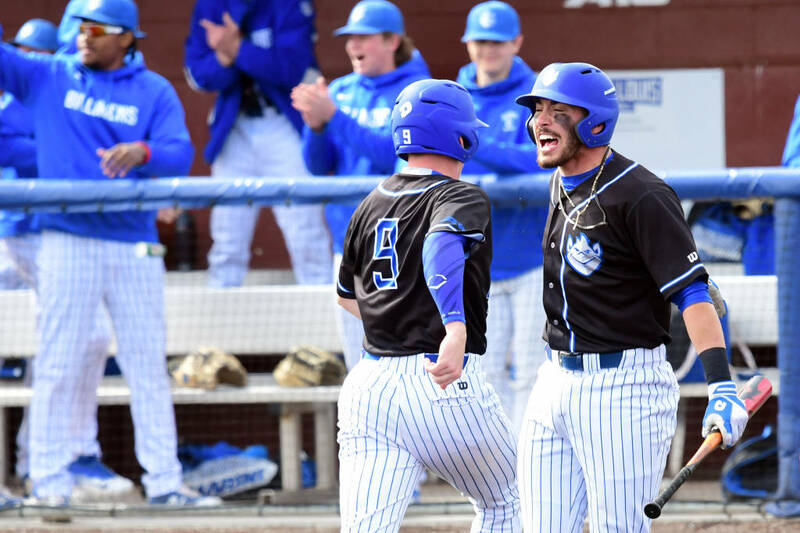 Braxton Stowe watched from the sidelines as his Saint Louis University Men’s Baseball teammates opened their season with a win on Friday afternoon defeating Miami (OH) 9 - 1. Saint Louis used a strong performance by Cody Luther to take game one of the four-game series. The starting pitcher finished his day with six innings pitched, one hit, one run and four strikeouts. Jake Garella got things started for the Billikens with a two-out RBI double in the bottom of the first inning, putting Saint Louis up 1-0. He hit is second double of the game in the third inning. In the bottom of the second inning, it was Cole Dubet’s turn for timely two-out hitting. His two RBI single to left field put the Billikens up 3-0. He then stole second base. On the following play, Corrigan Bartlett grounded a ball to third base, but a throwing error allowed Dubet to score, putting the team up 4-0 at the end of the second inning. Drawing four walks in the bottom of the third inning helped allow Saint Louis University to tack on four more runs, giving them an 8-0 lead. Drew Reveno took over for Luther to start the seventh inning. He pitched the seventh and eighth innings for Saint Louis, allowing one hit and striking out four batters. Reveno worked around a one-out walk in the eighth and struck out the side. Griffin Robinson appeared in the eighth inning as a pinch hitter for Garella. He hit a sacrifice fly to right field, making the score 9-1 in favor of Saint Louis. Freshman Ryan Patel made his Saint Louis University debut closing out the ninth inning for Saint Louis. He earned his first collegiate strikeout and allowed no hits in his one inning of work.